Help The Salvation Army create change and provide hope throughout your community. Volunteers are special year round, but during the Christmas season, they are even more special! 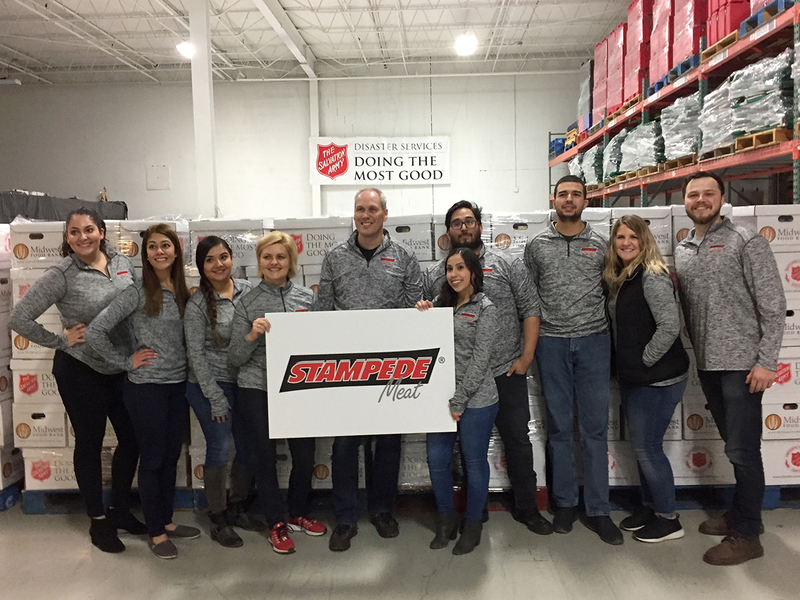 Stampede Meat, Inc. volunteered and packed boxes to help provide 10,000 families groceries for a special holiday meal. Stampede also provided 2,000 chickens towards the food boxes!